TH Removals can help with house removals across Hertfordshire, so whether you are moving into a new family home in Chorleywood, a flat in Rickmansworth or a bungalow in Bushey, we can help to make moving day go smoothly. We offer a full house removals service to help you get settled in your new home as quickly and easily as possible. Moving house can be a stressful business, but using experienced removal companies like TH Removals can ensure that at least one aspect of your move can be stress-free. Our expert house removals team can help to pack all of your belongings safely into one of our removals vans, transport them safely to your new home, and then help to move everything into place. Whether you need help transporting your children’s toys or packing your antiques safely, we can help you to get the job done. Our complete house removals service can organize your move for you so that all you need to do is relax and enjoy your new home. 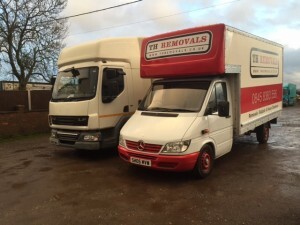 TH Removals has many years of experience working around Chorleywood, Bushey and Rickmansworth. Our reliable movers can handle jobs of all sizes, from the smallest studio apartment to the largest family home, so if you are looking for moving companies in Hertfordshire, take a look around our website to see how we can help. If you are getting ready to move, contact us right now to ask for removals quotes and find out how our competitive rates can help keep your removal costs down. We can provide experienced movers and well equipped moving vans to take care of your move from start to finish. You can rely on us to get the job done safely and efficiently. We understand how important your possessions are to you, so we will treat every item we move with the utmost care. We have a fleet of well maintained removals vans to help move your belongings safely from your old home to your new one, and our expert removals teams all have plenty of experience packing and carrying valuable items. Each of our vans comes fully equipped with sack trolleys, blankets and other removals equipment to ensure that goods are transported appropriately. If you are choosing a removals service, one of the most important questions to ask is whether your goods will be properly insured against any loss or damage that could occur. Responsible house removal companies like TH Removals will always provide proper insurance coverage for your belongings. You can rely on our experienced removal teams to treat all of your possessions with care, but rest assured that if anything should go wrong, all of our removals vans are fully insured so that your possessions are protected while they are in transit. If you are looking for removal companies in Chorleywood, Bushey and Rickmansworth, get in touch with us today to find out more about our services or to request removals quotes. You might also find it useful to spend some time looking around the rest of our website to learn more about our house removals services, check out our pricing pages or read some of our customer testimonials. When you are ready, contact us for removals quotes or to arrange a removal.